If you have been following our Facebook posts the past few days you are well aware that we are in the middle of a very large salvage project in Arkansas. 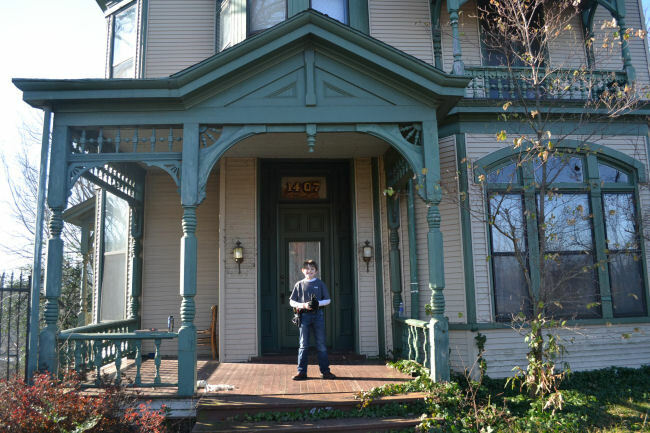 Two 1890 Victorian houses are sitting on a piece of private property that was recently sold to a school. Both houses have been scheduled for demolition to make way for construction to begin on a new private school campus. 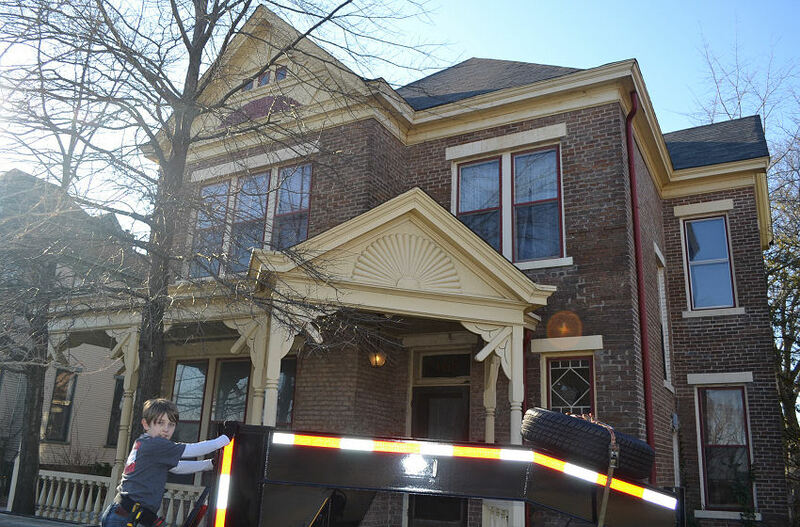 It is never our intent to demolish historical property and it saddens us to see two beautiful old houses taken down. 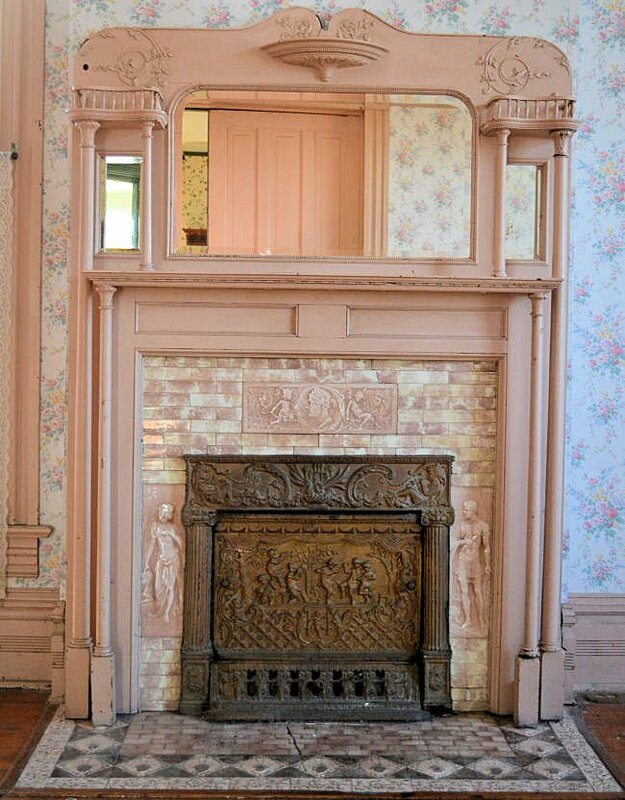 We are however honored to be given the privilege of salvaging the architectural pieces from these houses for future use and historical preservation. 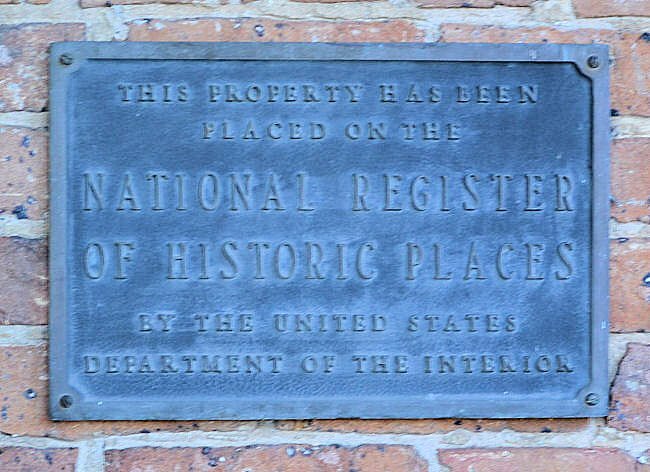 One of our customers, Amber Carter Jones, shared this bit of history with us on one of the houses. We thought we would pass it on in hopes that you find it as fascinating as we do! 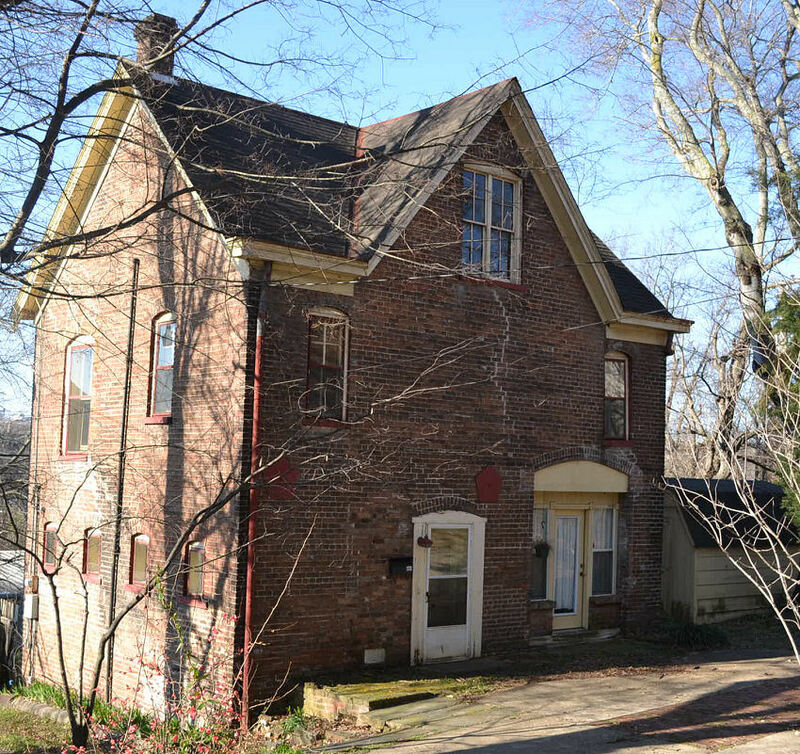 No exact date for the construction of the Bruner-Hammond House can be determined. 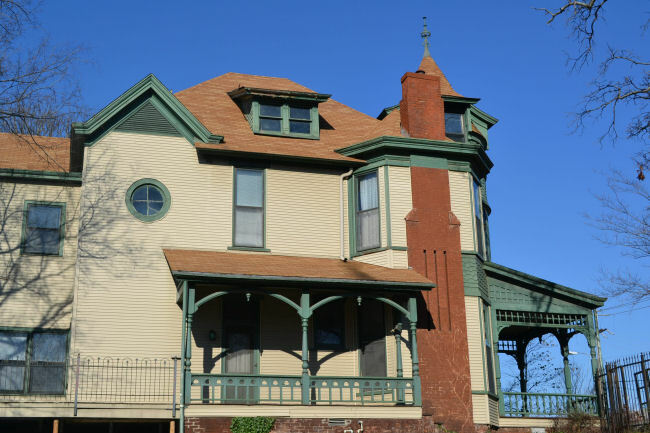 One of the many business ventures of James R. Miller was the construction of the Bruner-Hammond House for use as rental property in ca. 1890. Brunner House – February 2013. Tripp Gudger on his first salvage expedition! James Russell Miller was born near Rogersville, Tennessee, in 1834. After the Civil War, Miller was a clerk in a dry goods store in Memphis and one or two nights a week he would set newstype for The Memphis Appeal. 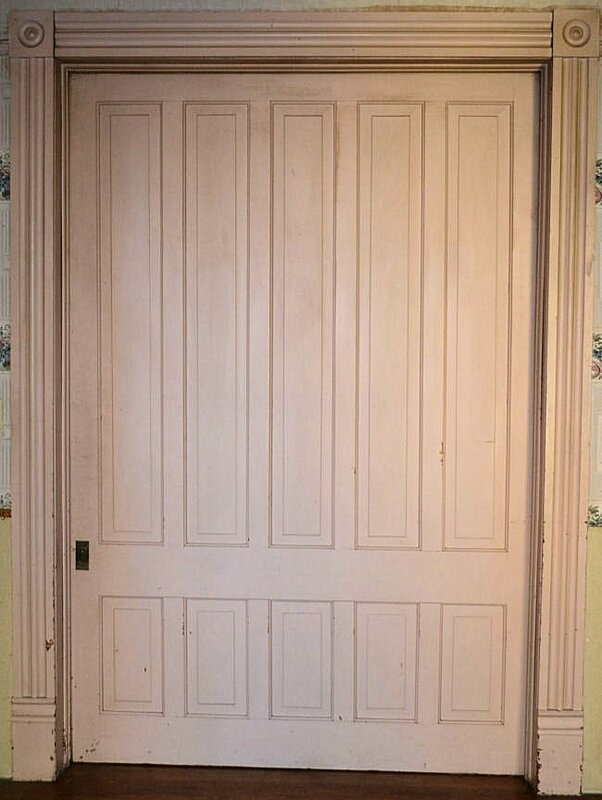 The turning point in his career came in 1872 when his uncle, Wylie B. Miller, opened Panola Mill, a cottonseed oil firm, in Memphis and hired him as a purchasing agent. James R. Miller later moved to Little Rock and built the first cottonseed oil mill in the city. Having established a successful and firm base for financial expansion, Miller invested in a variety of business interests ranging from insurance to utilities. 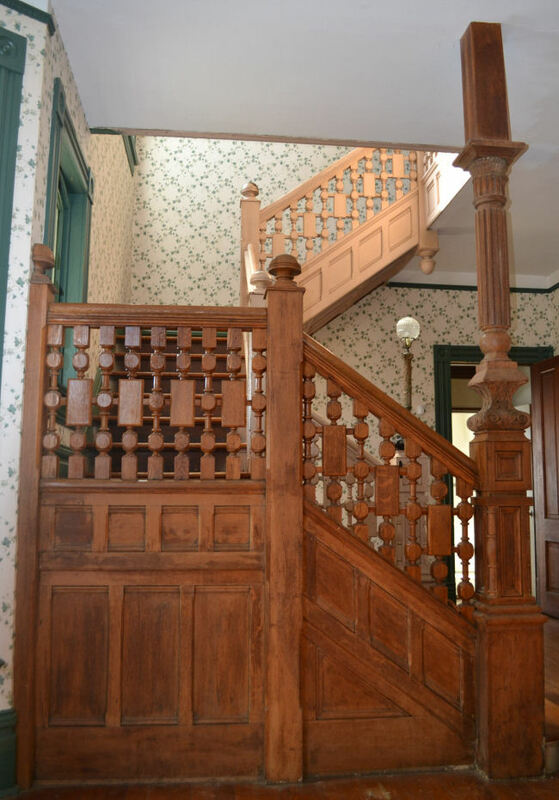 One of his occupational thrusts was contracting and that, in all probability, accounts for the construction of the Bruner-Hammond House shortly after Miller purchased the property on which it was built from real estate broker James H. Barton in 1890. 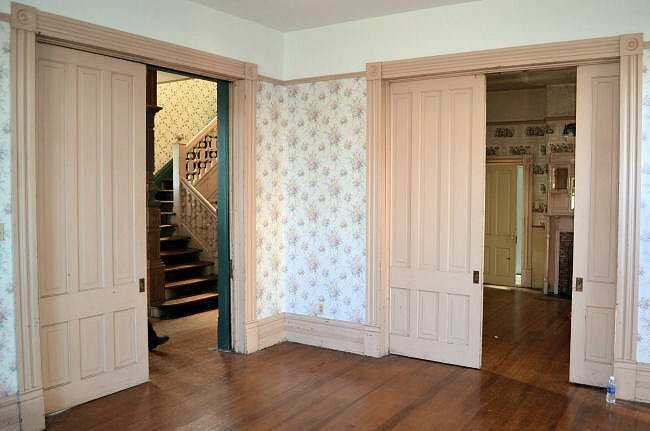 A large number of tenants rented the house from the time of its construction until 1921 when the property was sold by the Miller family to Frank L. Bruner. 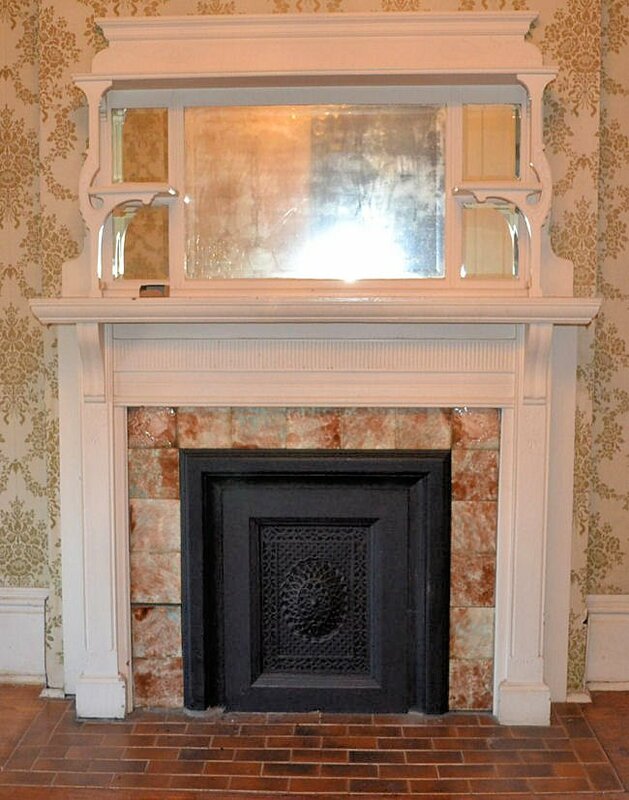 In 1919 the house was perhaps used as a boarding house under the supervision of Mrs. Vance Baker. Frank L. Bruner worked for the Missouri-Pacific Railroad. Little Rock’s main terminal lies to the south of the house. 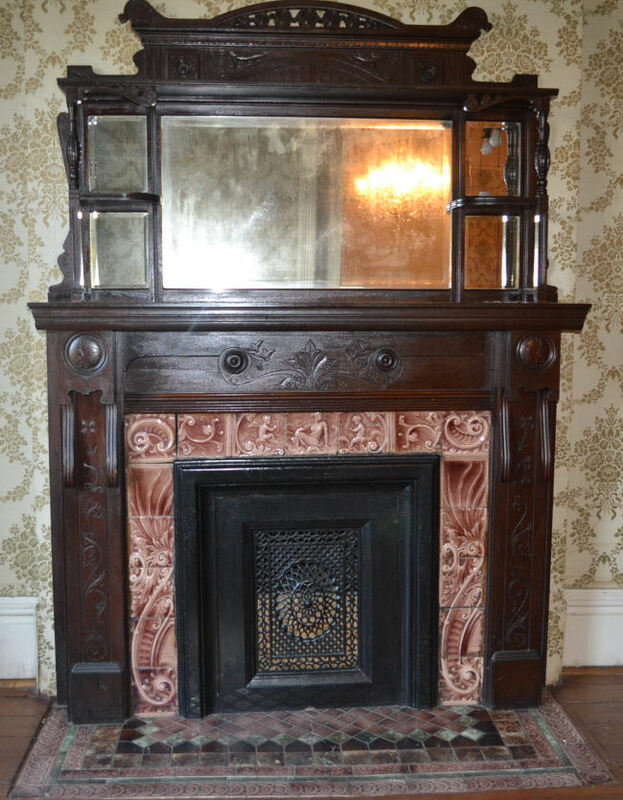 After his death in 1946, ownership of the house passed to his children who remained in control of the property until they sold it in 1972. 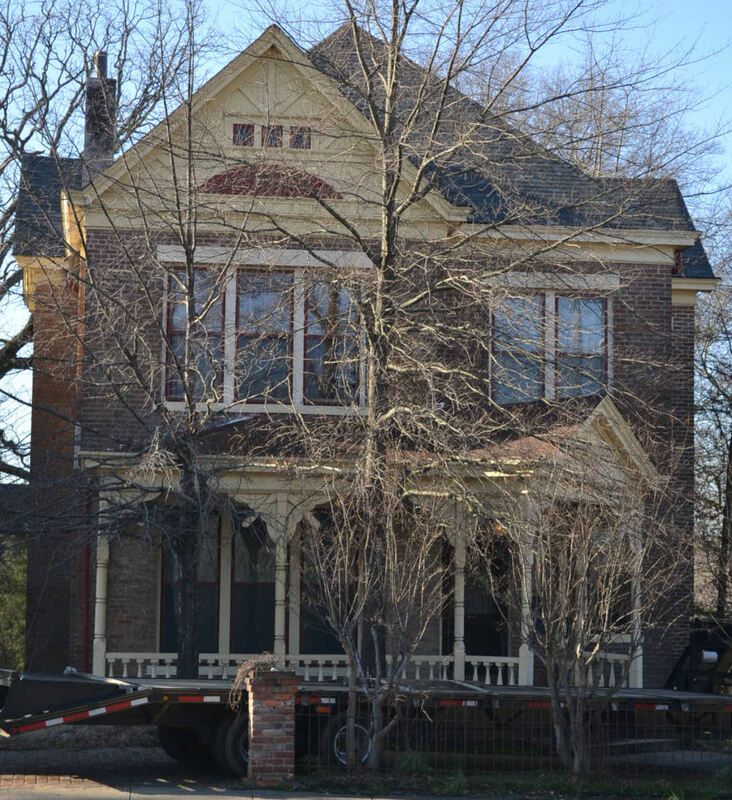 The present owners of the house are Mr. and Mrs. David Hammond. 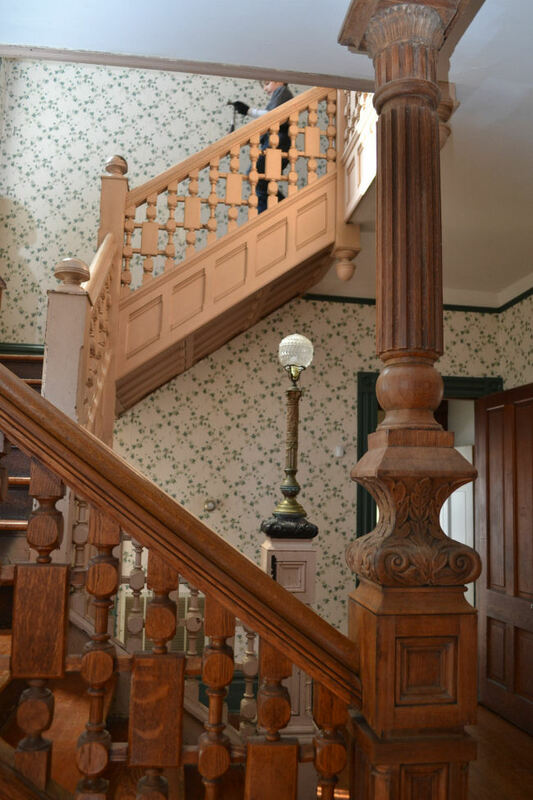 Architecturally, the two-story, three-bay, brick Bruner-Hammond House is a simple American Queen Anne structure, which draws on several contemporary styles for design inspiration. 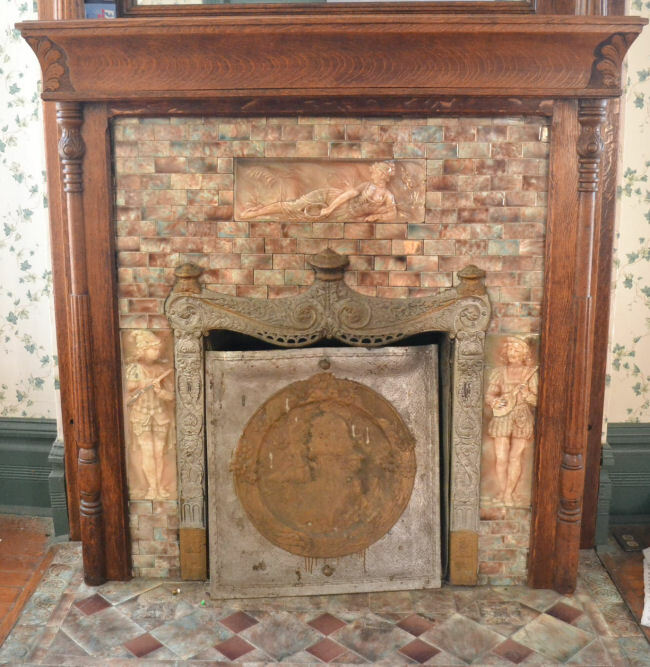 The decorative motif of the one-story entrance porch is Eastlake. 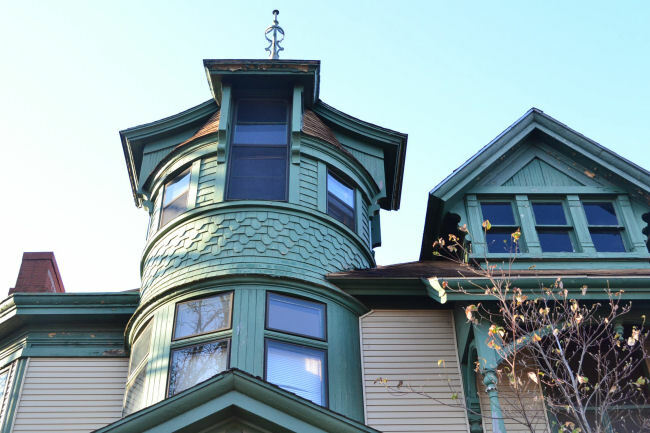 The exposed framing and small, strip, attic windows in the gable ends show the influence of the American craftsmen movement. 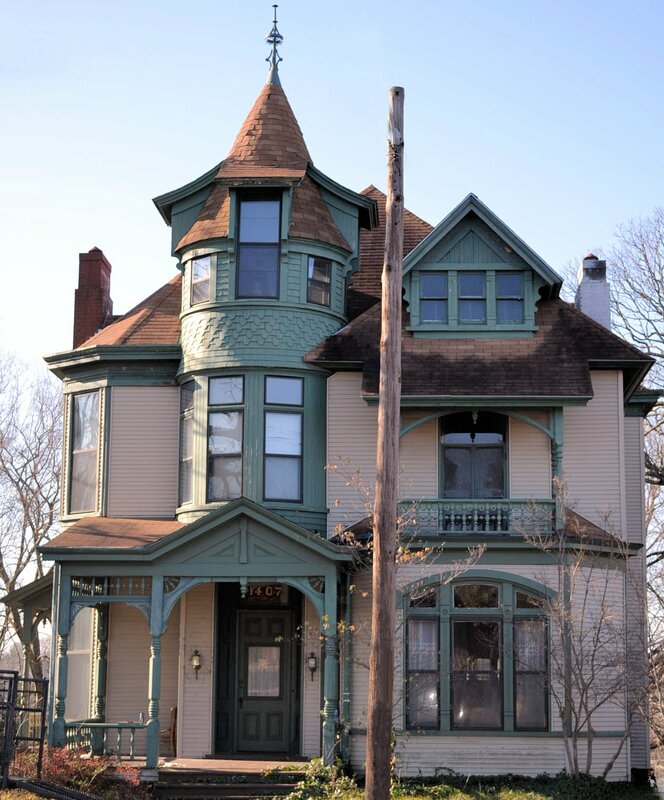 The association of the Bruner-Hammond House with Little Rock businessman James R. Miller coupled with the fact that the house is an excellently maintained example of American Queen Anne architecture give historic significance to the Bruner-Hammond House. Abstract of Title No. 70241. Little Rock Abstract Company. Arkansas Gazette, September 4, 1892, May 30, 1946. Hammond, Jackie D. Interviews on February 22, 1975, July 21, 1976, Little Rock. Litrle Rock City Directories – 1890, 1893-94, 1912-1914, 1919, 1920, 1955, Arkansas History Commission, Little Rock. Moody, Claire N., “Robbers Row,” Arkansas Gazette. February 19, 1956. Meet Ryan Walker, the newest member of our Southern Accents team. Ryan joins us as sales manager of our Wood Warehouse. 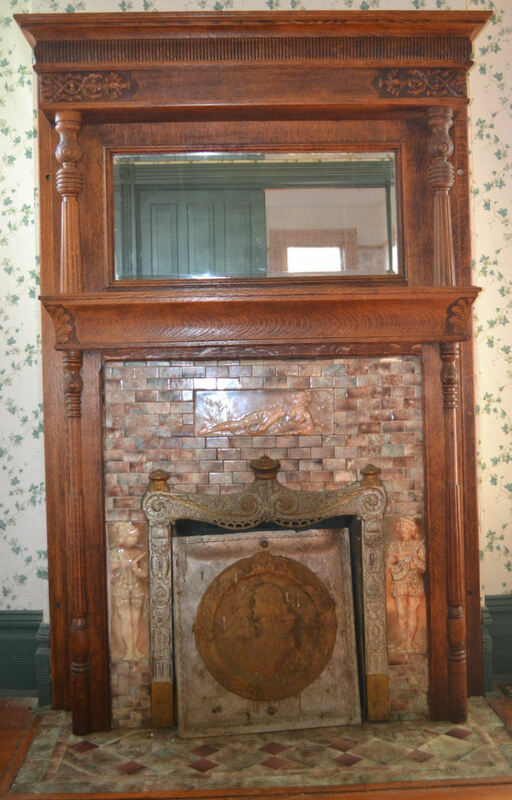 He is a timber framer by trade with an extensive background in wood construction coming to us most recently from Renaissance Woodworking in Decatur, Alabama. 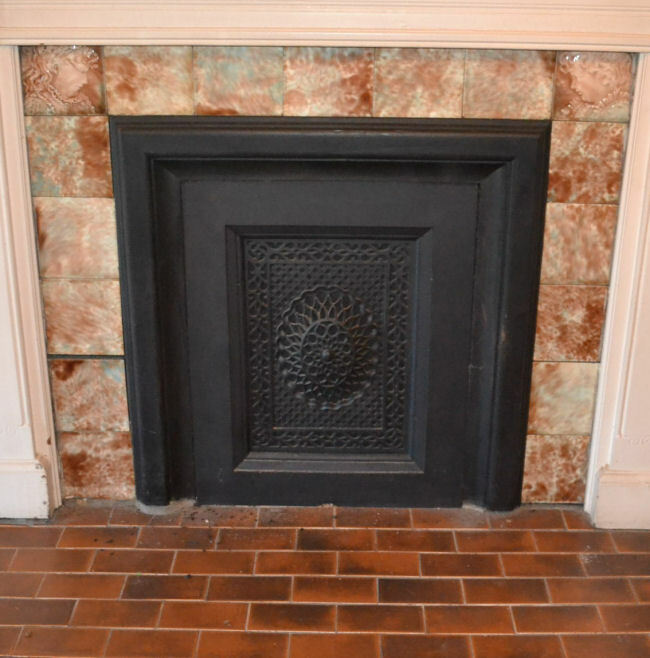 Southern Accents has worked with Ryan on various jobs for over 10 years. We are familiar with the excellent quality of his work as well as his vast amount of knowledge and are thrilled to have him join our team! Having Ryan available at the Wood Warehouse is going to be a huge plus for our customers! 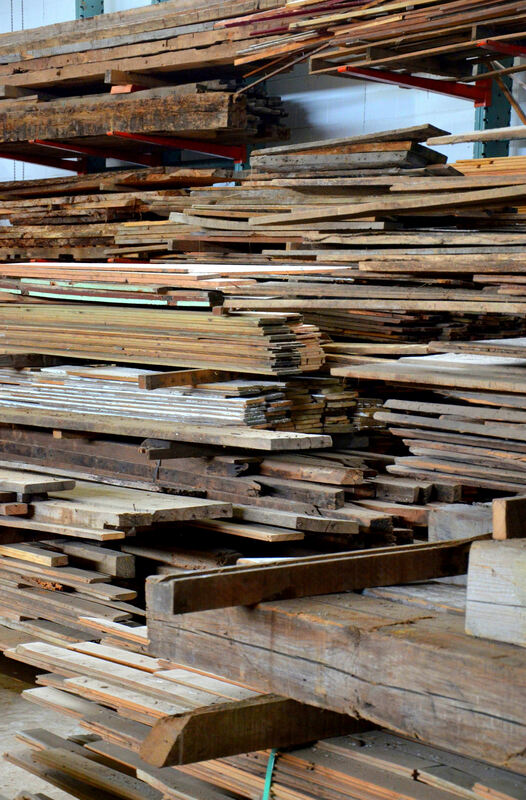 Our salvaged wood is warehoused a mile from our showroom in a 20,000 square foot old basketball gym. In the past Garlan or Jeff has had to leave the showroom and travel to the warehouse to meet with customers. Ryan will now be available at the Wood Warehouse during regular showroom hours to assist customers with any salvaged wood needs. 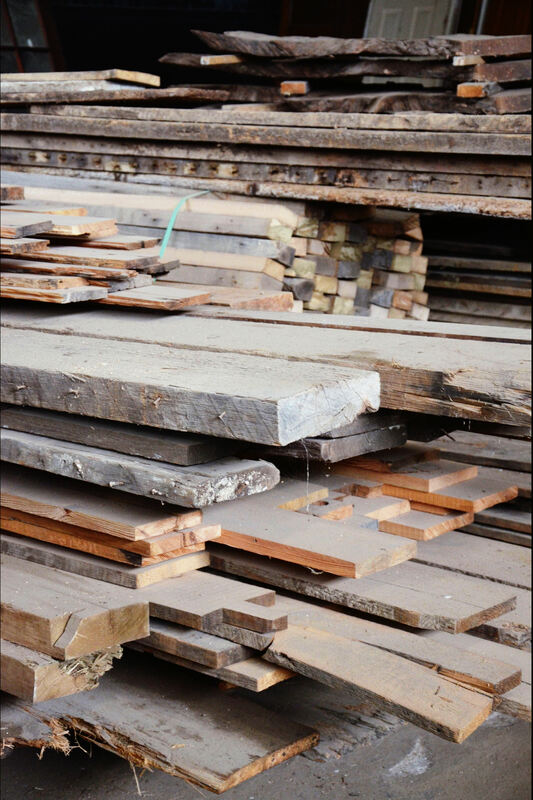 He is currently in the process of organizing the warehouse and is available to pull orders for our customers as well as address any questions pertaining to our salvaged wood. This allows Jeff and Garlan the ability to better serve the needs of our showroom customers. Please feel free to stop by our wood warehouse at 250 Janeway Drive, Cullman, Alabama during regular showroom hours of Tuesday – Friday, 9:00 am to 5:00 pm and Saturday, 10:00 am to 4:00 pm. 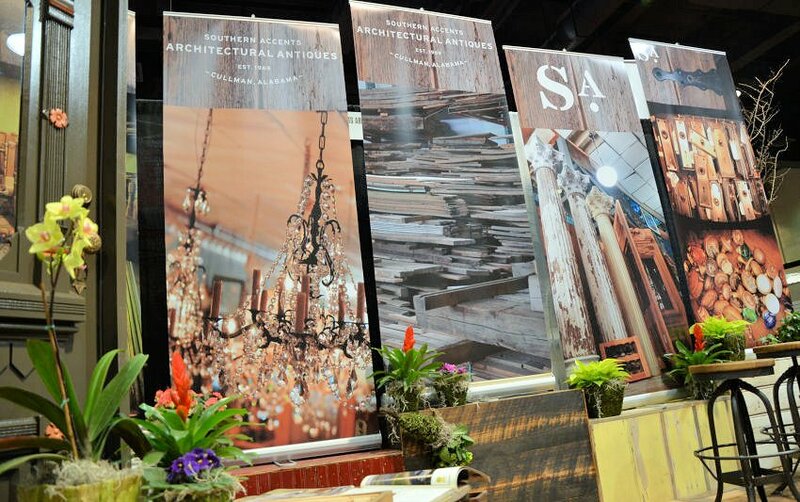 You can also e-mail us at info@sa1969.com or call our showroom at 877 737-0554 with any wood questions. Our inventory is constantly changing. 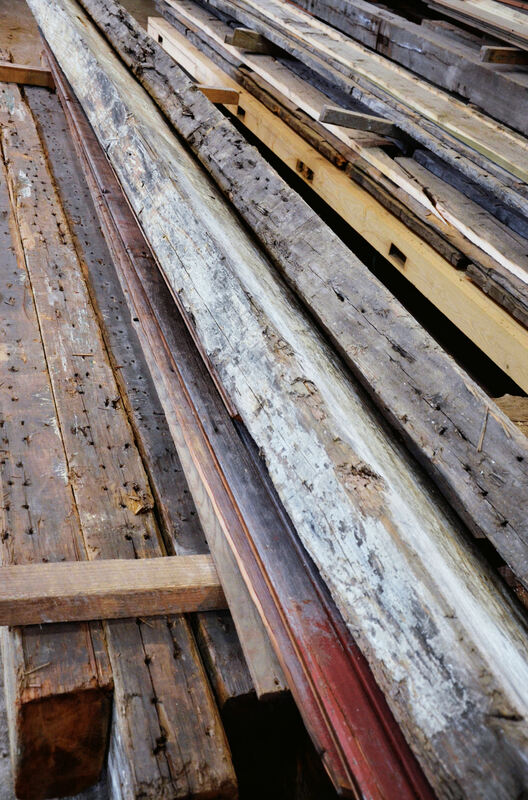 Whether your project is large or small, we would love to assist you with your salvaged wood needs! 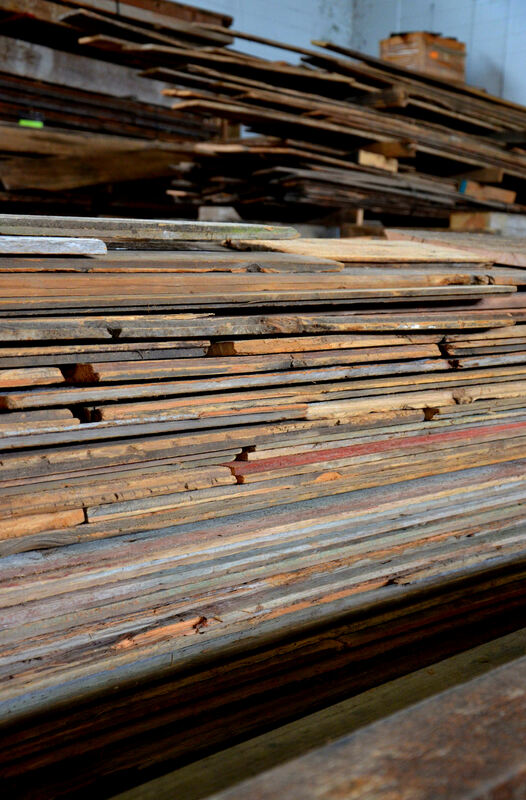 The pictures below are a sample of what you will see at our Wood Warehouse! Enjoy!! 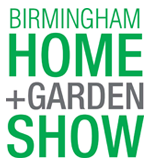 Birmingham Home & Garden Show – Reflections! Wow! What a fantastic 4 days we have had! Right on the heels of fashion week in New York City with Billy Reid we were in Birmingham, Alabama for the Home and Garden Show. This was our first time participating in the BHGS. We had so much fun that we are sure it will not be our last! We would like to say a huge THANK YOU to everyone who stopped by our booth and visited with us. It was extremely busy and at times even crowded all 4 days. Several of our team members were present at various times throughout this event and were excited to get to speak to so many. We thoroughly enjoyed rekindling old friendships and establishing new ones! 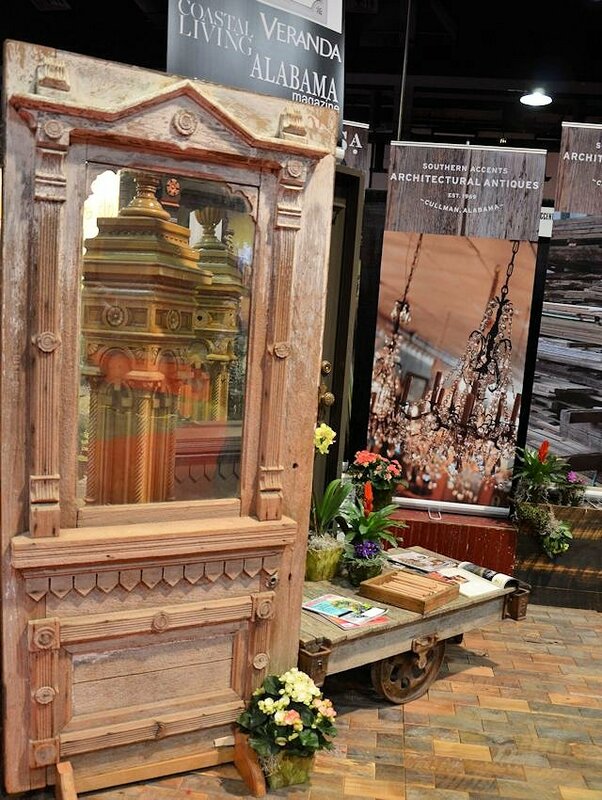 We were also excited about the tremendous amount of interest shown in architectural salvage. We are passionate about what we do and were thrilled with those of you who share our passion as well as those who’s interest was peaked. We hope to see many of you here at our showroom in the near future. We also encourage you to visit our website at www.sa1969.com often as well as follow us on Facebook. We would be remiss to not acknowledge and thank our team members who worked over and beyond to make this show happen. 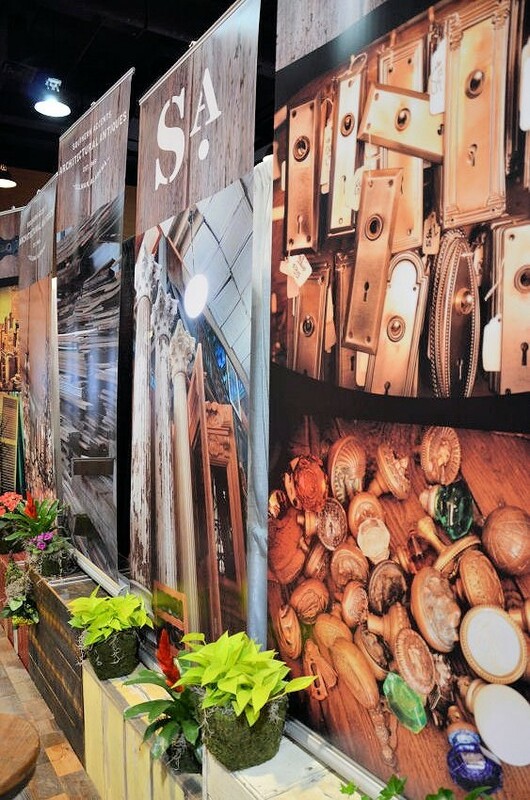 We think that we had the BEST looking booth at the show. 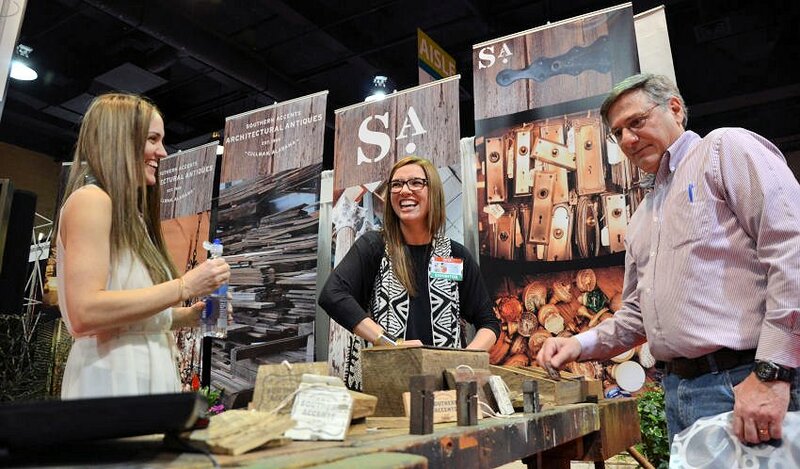 We had an endless amount of positive comments and compliments from those attending the show as well as other vendors participating in the show. A huge thank you to everyone involved including: Adam, Roger, Mike H., Jeff, Rogelio, Shane, and Ryan for all the incredible work putting together the flooring and display pieces, delivering and setting up the booth, and picking up the slack around the store so that many of us could be in Birmingham. Thanks to Lucy, Lisa, and Amy for their work in organizing the booth from concept to completion! Thank you to Mike Richard for pulling it all together and making us look awesome! Thanks to each and every team member as well as a few friends who showed up to work the booth throughout the 4 days: Lucy, Daphney, Heather, Mandy, Lisa, Jennifer, Jeff, Garlan, Michael, Amy and Sunny. Last but not least, we would like to thank so many others who helped make this show a huge success for us! Thanks to Stacie Carter, Audrey Land, Lisa Jones, and Shelly Hodge Smith for all the amazing photographs that were used for our banners, brochures, and slide show. Thank you Suzi at Cullman Sign and Banner for the awesome job on our banners. The compliments were unceasing! Thanks to Mike at Cornerstone Media and Lori for your tireless work on the brochures. Thank you Sarah at Son & Sons for all your help! For those who weren’t able to attend, we hope that you enjoy these pictures. Hopefully we will have a chance to meet you at a future event! Please feel free to contact us with questions or comments. Our showroom is located at 308 Second Ave SE, Cullman, Alabama. Our hours are Tuesday – Friday, 9:00 am to 5:00 pm and Saturdays 10:00 am to 4:00 pm. We are closed Sunday and Monday. You can reach us by phone during regular business hours toll free at 877 737-0554 or e-mail us any time: info@sa1969.com. This past week Southern Accents was fortunate to be able to collaborate with Billy Reid in New York City for the unveiling of his 2013 Fall/Winter collection. This was the second time we have had the honor of working with Billy Reid during fashion week. Garlan Jr. helped Billy create a backdrop for his fashion exhibition in 2010. 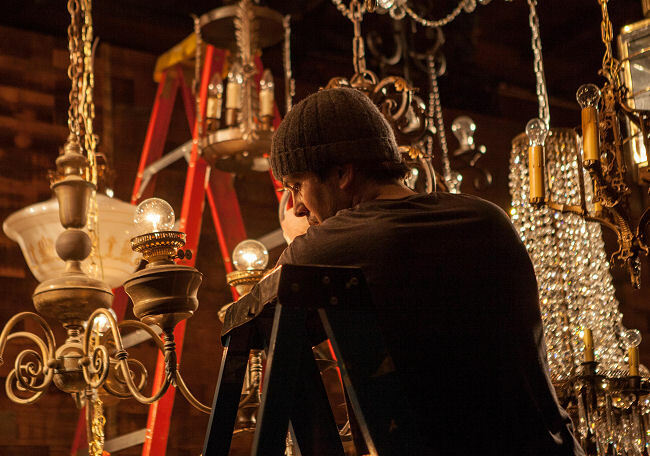 When Billy commissioned us for this year’s famous runway show, we wanted to construct a set that would showcase not only Billy’s incredible fashion sense but also showcase our creativity with the use of Southern salvage. Being second generation business owners, Garlan and Billy combined their knowledge and experience in their respective fields of architecture and fashion to produce a memorable show. Working together in New York with Paper Mache’ Monkey, the end result was a magnificent display, yet to be seen in New York City during any fashion week. 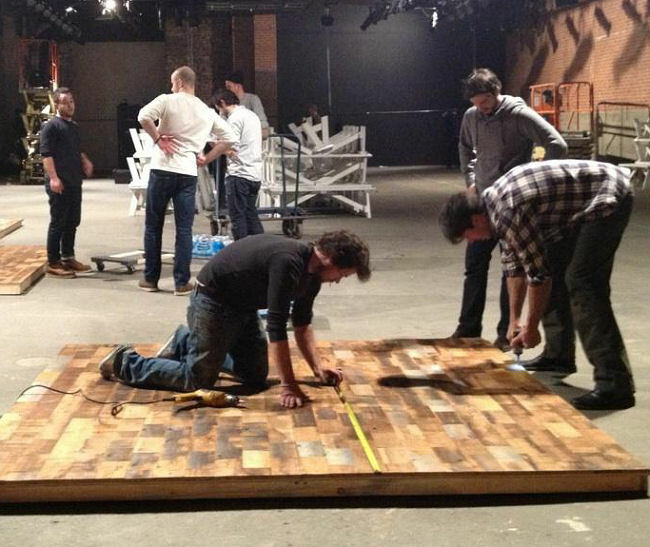 The idea for the backdrop started when Roger Long, our resident artisan, came up with a byproduct of a small wood tile making use of salvage wood drops that would otherwise be tossed in the garbage or burned in our incinerator. 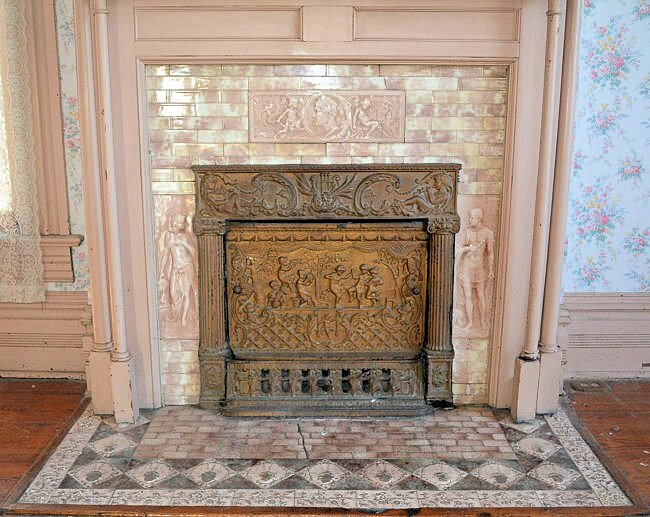 His thought was to cut the pieces into 4″ x 8″ wood tiles that could then be used for ornate flooring, wall or ceiling coverings. 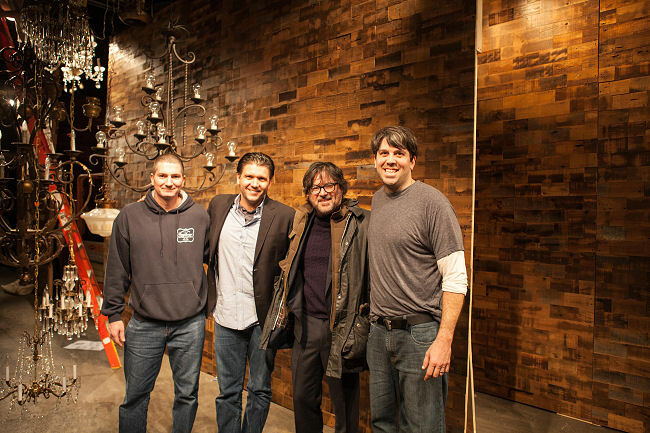 Billy spotted a pallet of the wood tiles during one of his frequent visits to our showroom. 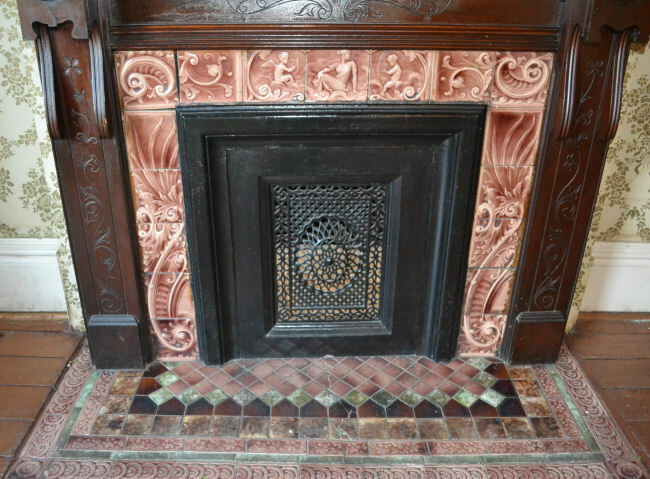 He loved the texture and color of the wood tile, but was not sure at the time how he could utilize them. Two months down the road he called with the idea of using the tiles to create a backdrop for his upcoming New York fashion show. Our challenge was to produce the backdrop keeping the woods natural patina that would reflect both the warmth, as well as the rustic-vintage look, of Billy’s clothing line. 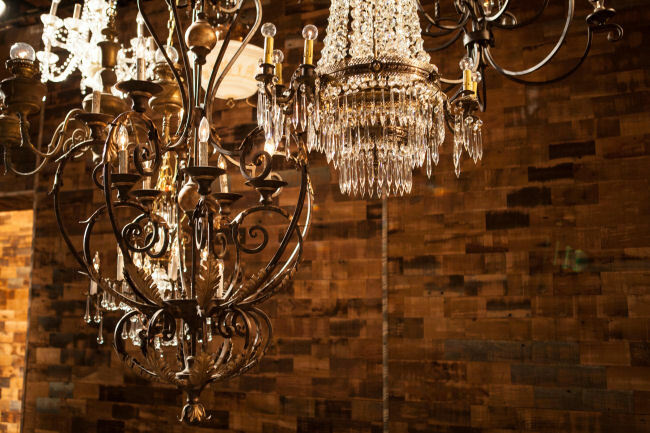 The contrast of our salvaged wood tiles with the elegance of the lighting from our antique chandeliers set the bar high, even for a New York City runway! 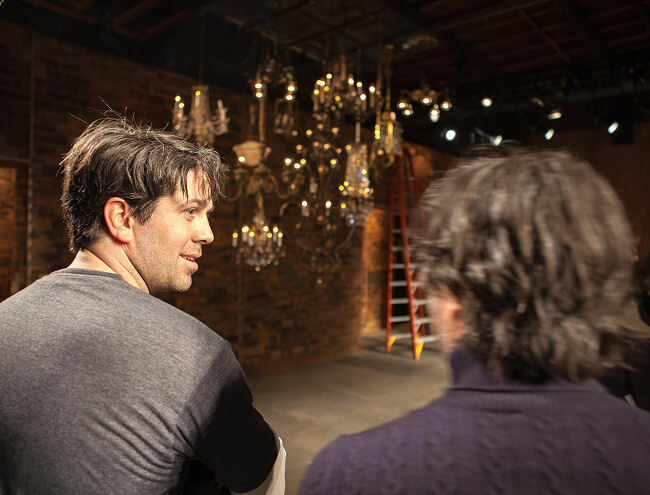 The backdrop, along with several of the chandeliers, will be moved to Georgetown where it will find a new life as floor and wall coverings in Billy Reid’s newest store at 3211 M Street NW, Washington, DC 21930 opening in late April, 2013. 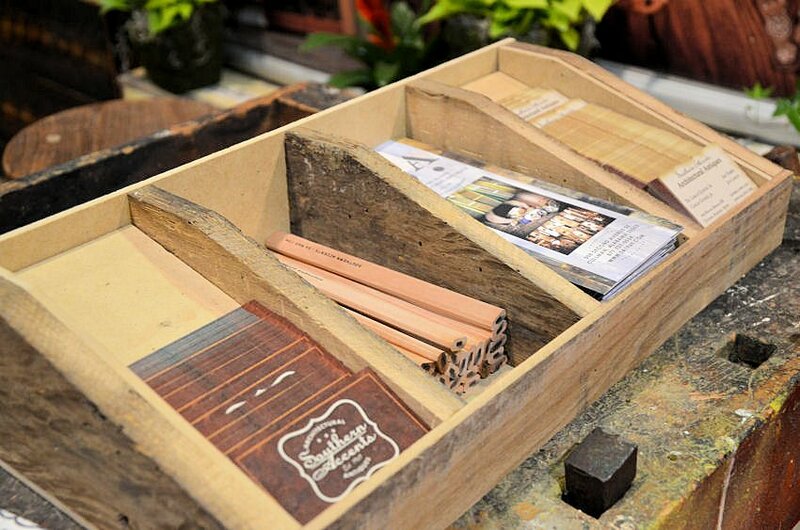 The combination of Billy’s creativity and Southern Accents salvage was not only used during Fashion Week, but also in most of Billy Reid’s retail stores located in Nashville, Charleston, New York, Atlanta, Houston, Austin, Dallas as well as his home base in Florence, Alabama. 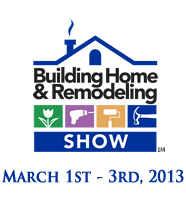 We are beyond excited to be a participant in the 2013 Birmingham Home and Garden Show. This endeavor will be our first time at the BHGS. We are hoping to make this an annual event for Southern Accents. If you are within traveling distance of Birmingham, Alabama, we highly encourage you to attend. 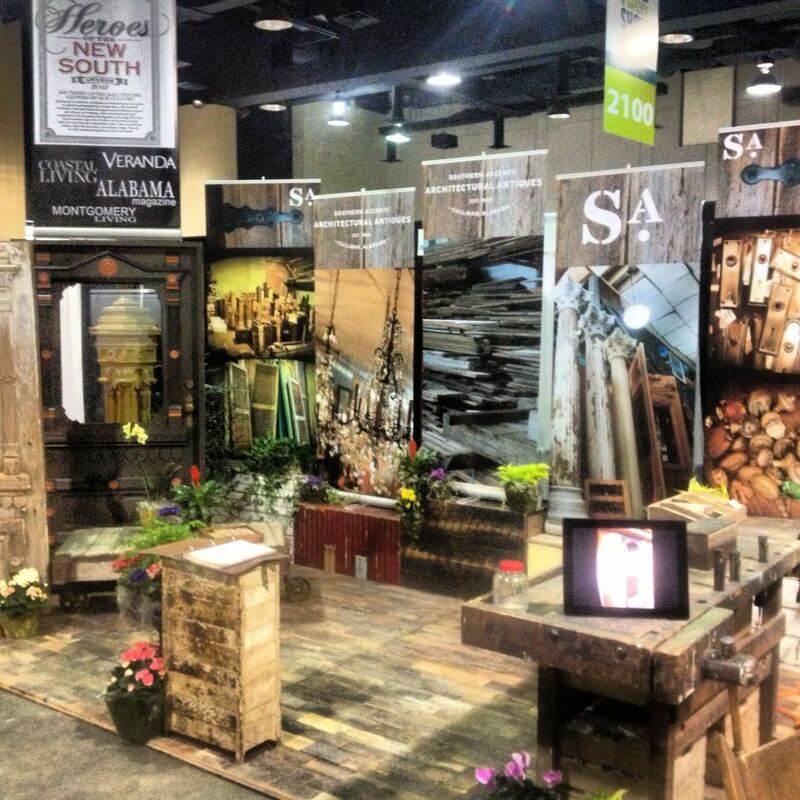 The BHGS will be held February 14th – 17th at the Birmingham-Jefferson Convention Complex at the BJCC. 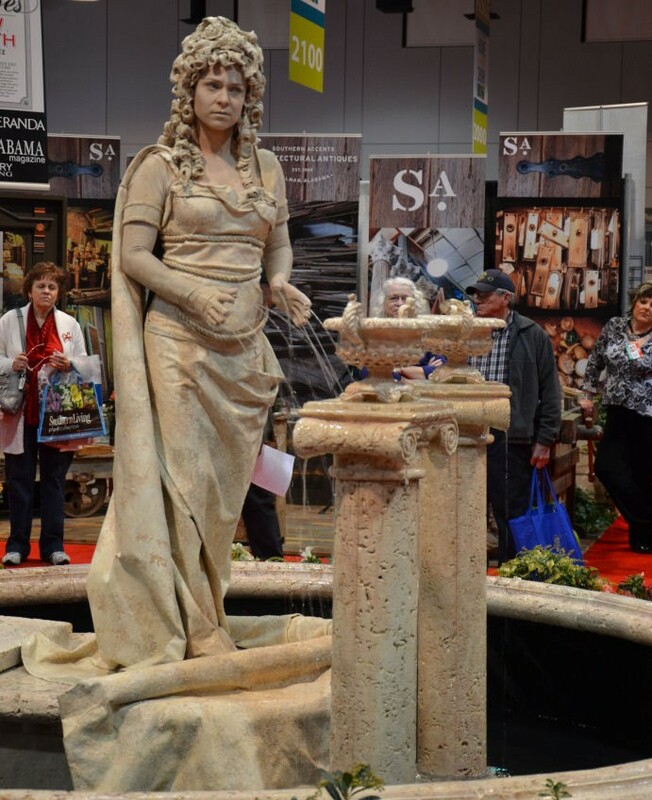 This year the show has been expanded to two levels and includes over 150 exhibitors. These events are not just for those who are in the throws of home construction! If you are thinking about remodeling a bathroom, updating your home or office decor, need to replace old windows, gutters, worn appliances or heating/air units… this event will be worth your time. There will be a wide representation of companies and vendors ready to show you the latest in home trends and new products on the market. 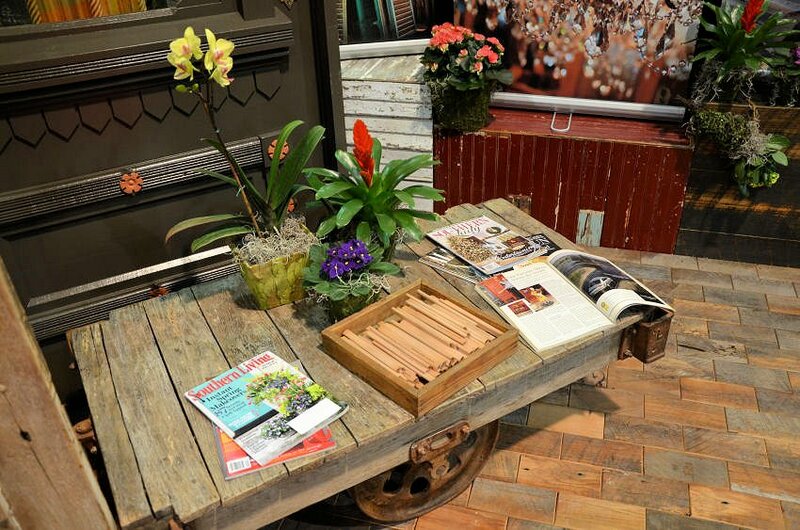 You can browse the Southern Living plant collection, view featured gardens by local landscape companies, experience the Living Fountain as well as sit in on presentations by the celebrity guests. 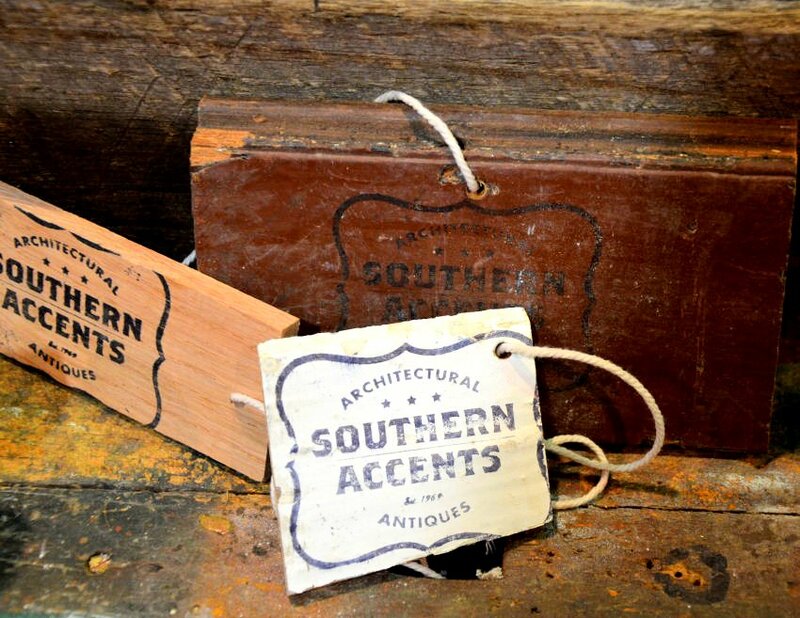 A “can’t miss” event on your schedule of course will be a stop at Southern Accents booth! 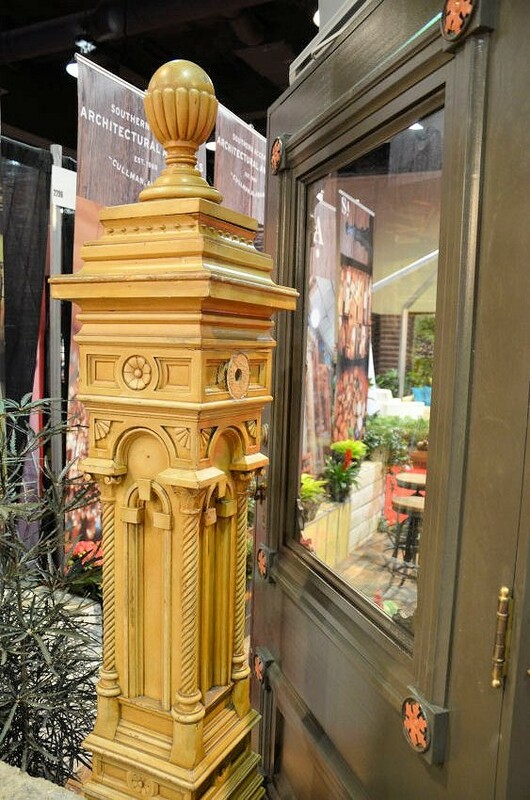 We will be located in booth #2206 next to the lawn and garden displays. We will have team members available throughout the 4 day event ready to meet with you and answer any questions you may have. 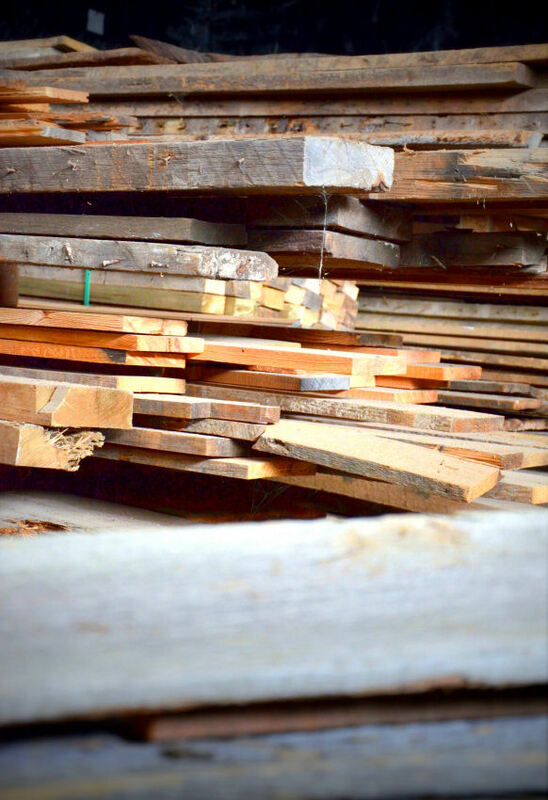 Stop by and take a look at our salvage wood floor, view our slide presentation of over 300 gorgeous pictures taken in our showroom, and make sure that you are included on our mailing list. We may have a few goodies to give away as well! We are looking forward to visiting with old friends and making new ones. 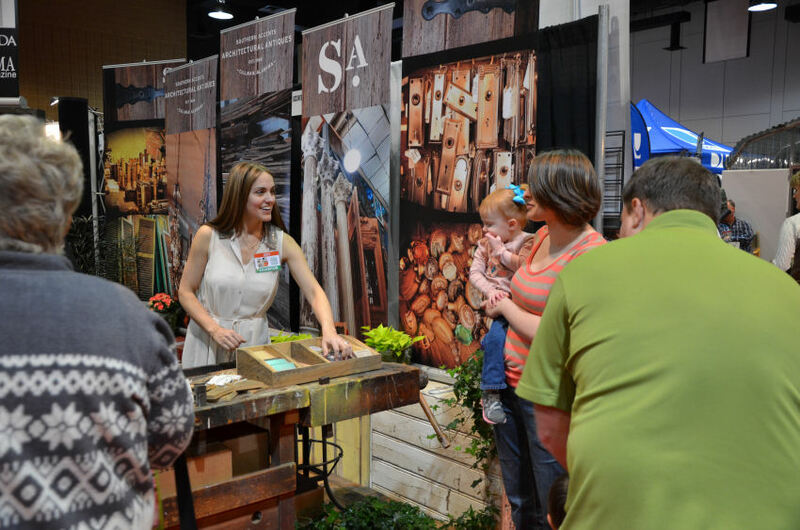 For more information on event location, times, and tickets, visit the Birmingham Home and Garden Show online. We look forward to seeing you there! !